Do you like drinking a cup (glass) of tea? Ever had a tea bag that was torn? Spreading tea leaves in your tasty drink? Then you know that such leaves circulate wildly and chaotically throughout your tea when you stir it, add water, or drink it. Science is somewhat more precise about the behavior of such leaves, calling it the tea leaves paradox, but let’s just stick with our more direct observations. Floating tea leaves are best removed from the tea. It prevents obscuring of the tea, and makes a better and tastier drink. Most consumers prefer tea without such leaves. 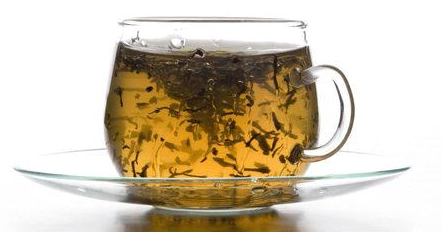 If not for the look of the tea, then certainly because it’s no fun to drink tea leaves. The tea leaves effect is a good metaphor to understand the need to refrain from collecting and listing requirements in a Product Backlog endlessly. The tea leaves of your Product Backlog are those requirements that go up in ordering every time the Product Backlog gets stirred. They float around, obscuring your Product Backlog and decreasing its transparency, and they always sink to the bottom as the environment settles again. Keep your Product Backlog clear, clean and tasty. Remove those features that cloud your Product Backlog. Remove those features that always sink to the bottom of what you plan for your product, and never get implemented. If those features are really valuable, they will pop up again at some point in time. It connects to ‘trimming the tail‘ as described by Alistair Cockburn. The goal is to not build low value ideas. It sounds simple, the gains are considerable, but it takes much discipline. But you don’t want to feed your customers tea leave requirements, right? Personally, I think if requirements are well refined and there was a decision to not implement them for some reason, it is worth to keep them at the bottom of backlog unless you are 200% sure they are obsolete. It is not much effort just to leave them. But after some time trying to refine them again and figure out why we resigned from implementation, may cost much more effort. Of course if yu have better memory than me, it may look different from you perspective :). Hi Piotr, thanks for sharing your view. Scrum can wrap many ways of working. If your way improves transparency in your context, that’s great.